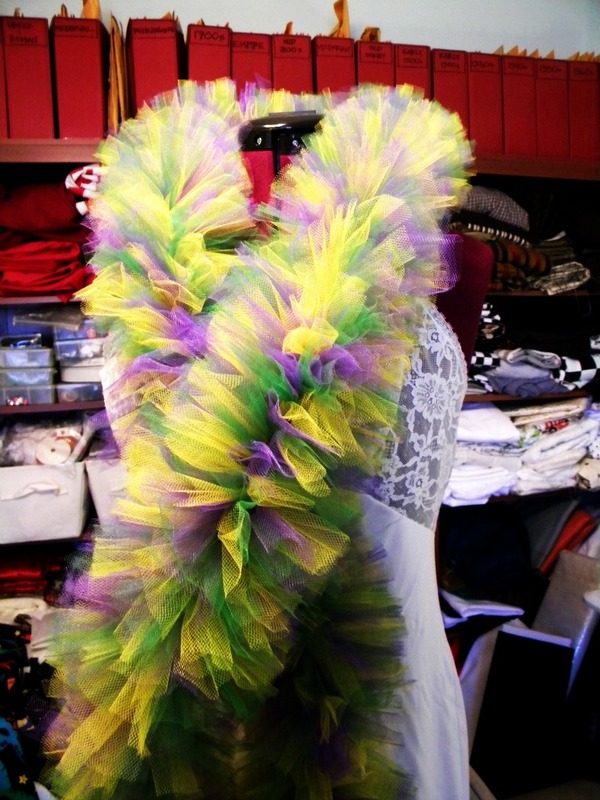 A tulle boa for Mardi Gras. Not listed in the shop yet–will get stock photos over the weekend. 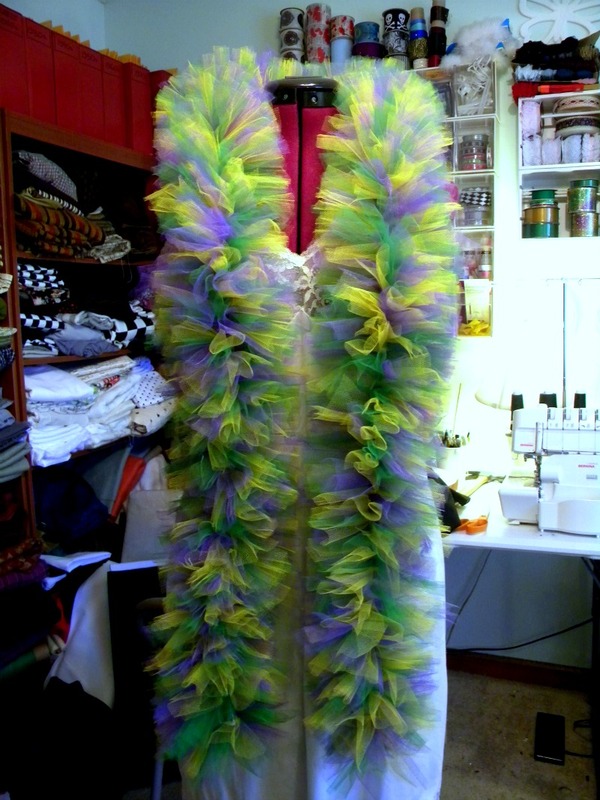 One more custom order to go, and then it’s to the grindstone to get everything ready for my upcoming RAW fashion show and booth. 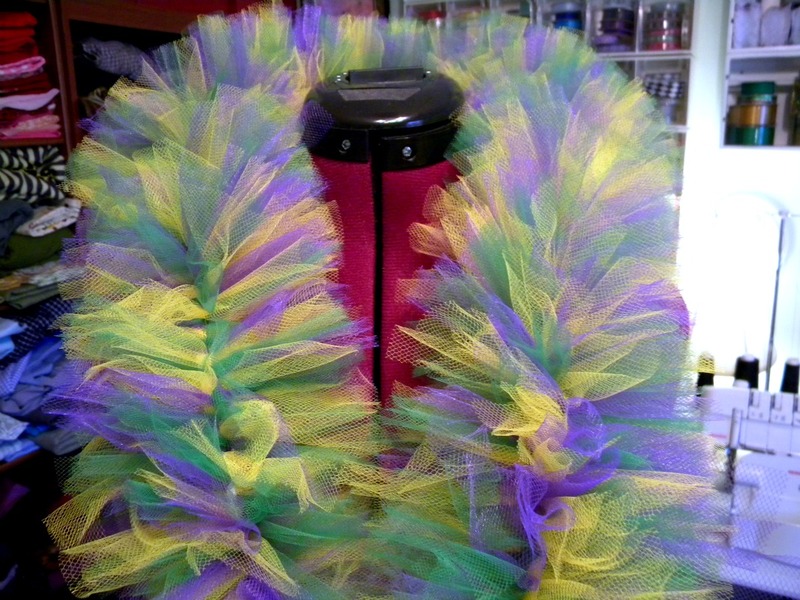 This was the first tulle boa I’ve done. Pretty result, but I don’t think I’ll make another. Extremely fiddle-y and time-consuming. 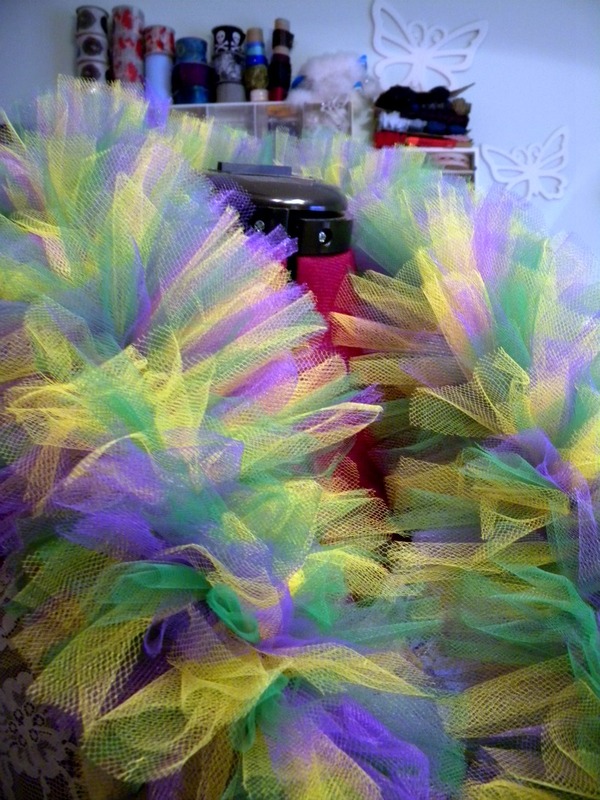 That baby is made up of strips of tulle (hand cut by yours truly) and individually sewn on in alternating colors of gold, green and purple. Thank goodness for books on cd.